11th Sydney International Piano Competition: 3rd place prize winner Moye Chen selects Shigeru Kawai SK-EX full concert grand piano | News | Kawai Musical Instruments Manufacturing Co., Ltd.
Chinese pianist Moye Chen has been awarded the 3nd prize at the 11th Sydney International Music Competition (held in Sydney, Australia from 6th~23rd July), following a series of performances playing the Shigeru Kawai SK-EX full concert grand piano. Kawai has provided instruments for official selection in the Sydney International Music Competition since the fourth event was held in 1998. At the eighth event, held in 2004, John Chen became the youngest pianist to win the 1st prize award, selecting the Shigeru Kawai SK-EX concert grand piano throughout the competition. At this year’s 11th competition, the Shigeru Kawai SK-EX was among four concert grand pianos provided for official selection, with 32 pianists chosen to participate. Following three qualification rounds, 6 pianists were selected to perform in the grand final, held in the impressive Sydney Opera House concert hall. Moye Chen was awarded the 3rd place prize after selecting the SK-EX in both rounds of the final, performing Mozart’s Concerto no.27 and Rachmaninoff’s Concerto no.2. 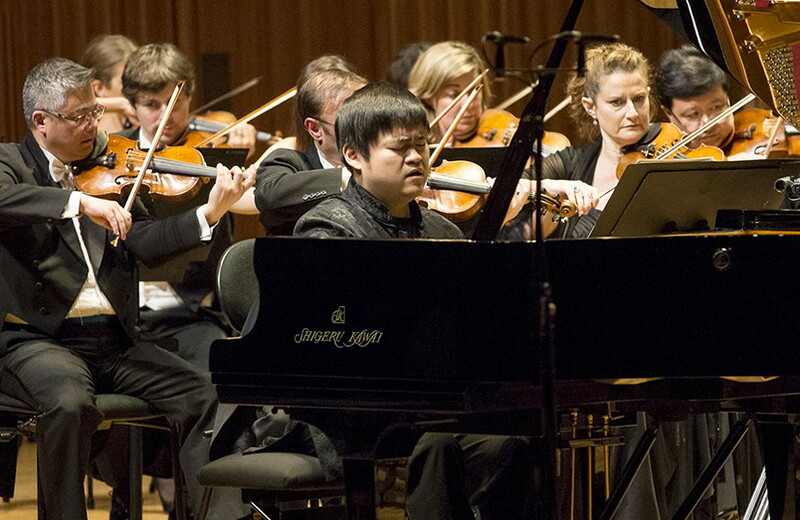 The Sydney International Piano Competition was established in 1977 and has established a reputation as one of the foremost international piano competitions in the southern hemisphere. The competition is held every four years, and aims to provide a showcase platform for outstanding pianists from all over the world. Unveiled in 2001 as the flagship instrument of the Shigeru Kawai line, the SK-EX concert grand piano is hand-crafted in limited numbers following a unique ‘prototyping’ creation process. In order to achieve the supreme range of expression required in a concert piano, each instrument utilises a variety of carefully selected materials, with premium aged spruce soundboards. Shigeru Kawai instruments adopt the advanced Millennium III keyboard action, featuring extended wooden keys and advanced ABS Carbon action parts, providing superior speed and responsiveness than conventional wooden action parts, allowing pianists to express a greater range of feeling and emotion in their performance.